Pays for itself in less than two visits! If two adults are named, no other adults may receive member benefits. Named adult must be present with guest. To qualify: You must be at least 18 and enrolled in one or more of the following: TANF, MFIP, WIC, General Assistance, Medical Assistance, MinnesotaCare, Supplemental Security Income, Social Security Disability Benefits, Food Stamps, Section 8, or Free/Reduced Price School Meals. Who is eligible for the teacher discount? Permanent K-12 teachers, K-12 principals and deans, and homeschooling educators who are registered with the state. What proof do I need to show? Proof of eligibility is required every year if you’d like to renew your membership with the teacher discount. Download the Teacher Membership application here. We cannot offer refunds for existing memberships. If you qualify for the teacher discount and purchase a Household or Dual membership at the regular price, call (651) 221-9409 or email member@smm.org. After faxing or emailing proof of your eligibility, your membership will be extended to compensate for the missed discount. Your membership is activated as soon as payment is processed. Membership cards take approximately three weeks to arrive; feel free to come in without them. Members may sign up for a nanny card that allows discounted admission when a nanny accompanies members’ children to the museum. Call (651) 221-9409 or email member@smm.org to receive a nanny card. Admission is free for working PCAs when they’re visiting with a client. Tickets = Membership! Come visit again and again. Did you know your recent ticket purchase may qualify towards a membership? Tickets purchased for General Admission, Omnitheater and Combo tickets can be applied toward membership. Credit cannot exceed the cost of Membership and refunds are not issued. Offer valid up to two weeks following your visit. Call us at 651-221-9444 and ask about the Ticket Trade-In Program. 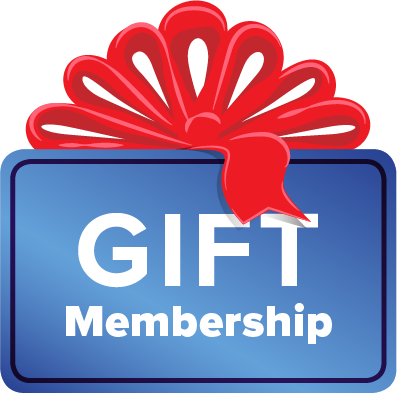 Don’t wait - Join Today and start enjoying all the benefits of Membership! Supporting Membership helps to create world-class exhibits and impacts programs beyond the museum exhibit halls. From conservation efforts to education access, Supporting Members make so much possible! This unique Supporting Membership aims to build the next generation of Science Museum supporters—includes benefits for two people (21+). Two passes for one Social Science event of your choice and member discounts for other Social Science tickets. Discounted admission for this popular 21+ night at the museum. Enjoy Alkali benefits for just $21 a month. Call (651) 265-9870 to initiate monthly giving. Monthly giving option: Enjoy Alkali benefits for just $21 per month. Call (651) 265-9870 to initiate monthly giving.